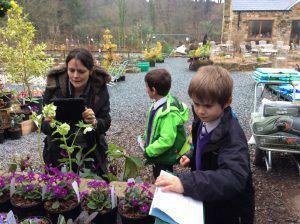 The first day back, 20th February 2017, found Class 1 starting their ‘Growth and Green Fingers’ topic at Holden Clough Nursery. 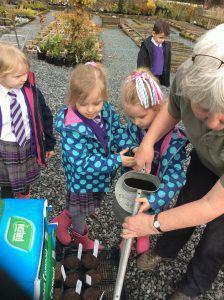 Children learnt how to plant broad beans and chives properly! 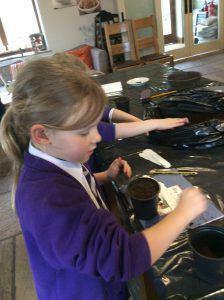 They all had their own pots, which they labelled, filled with compost, planted and watered. 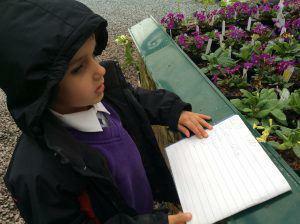 After juice in a glass welly, children braved the rain and went to look at some of the garden plants for sale. 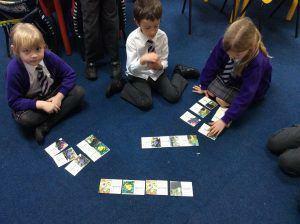 They identified a few and took photographs. 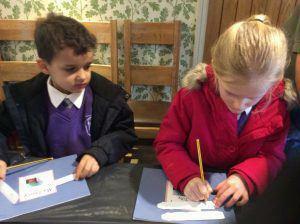 After that. 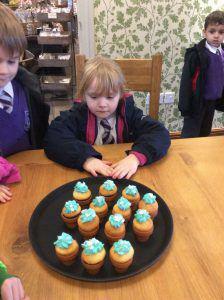 it was back into the cafe for a delicious cupcake served in a flowerpot! 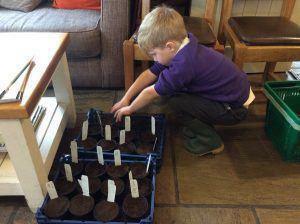 Back at school, Class 1 are now caring for their seeds and have made the photos taken into dominoes, so that they can learn the names and identify the plants they saw at the nursery. 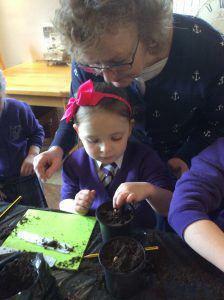 All the staff and children would like to thank Holden Clough Nursery for a great morning and for inspiring everyone, at the start of their new topic ‘Growth and Green Fingers’.